Don't dilute your drink with traditional ice cubes, our Stainless Steel Ice Cubes provide extended chilling times over standard ice cubes. 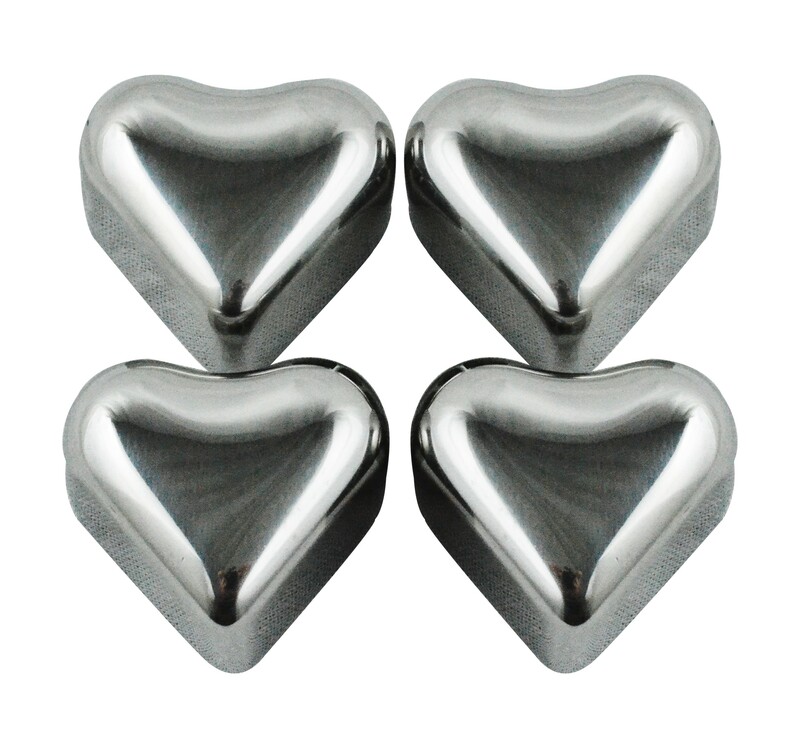 Southern Homewares Heart Shape Stainless Steel Ice Cubes come in a clear plastic case with a total of 4 ice cubes. Don't dilute your drink with traditional ice cubes, our Stainless Steel Ice Cubes provide extended chilling times over standard ice cubes. Use with any Wine, Whiskey, Beer, Juice, Soda, or any beverage. No intended for Children as they'd be a choking hazard. Dimensions of Ice Cubes are: 1 x 1 x 1" square.